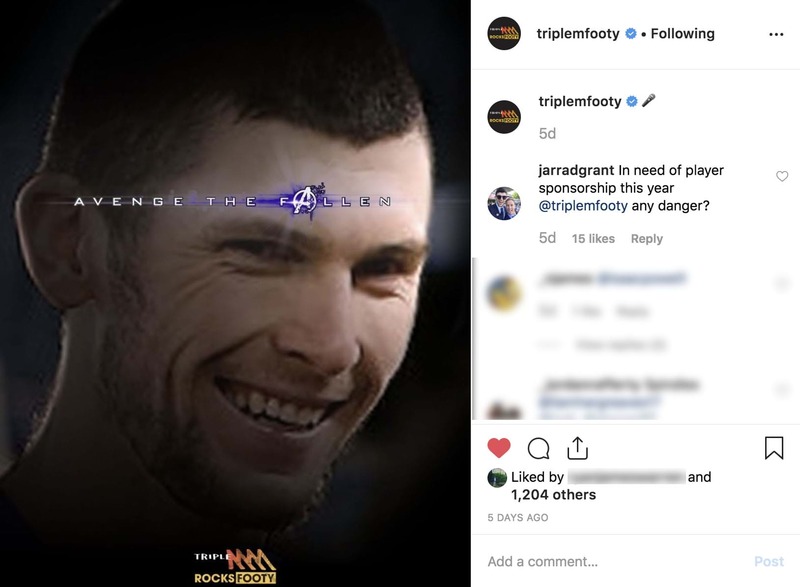 Ex-Dog and Gold Coast Sun Jarrad Grant — old Microphone Head himself — is taking to social media to try and get Triple M Footy to throw him some player sponsorship dollars. 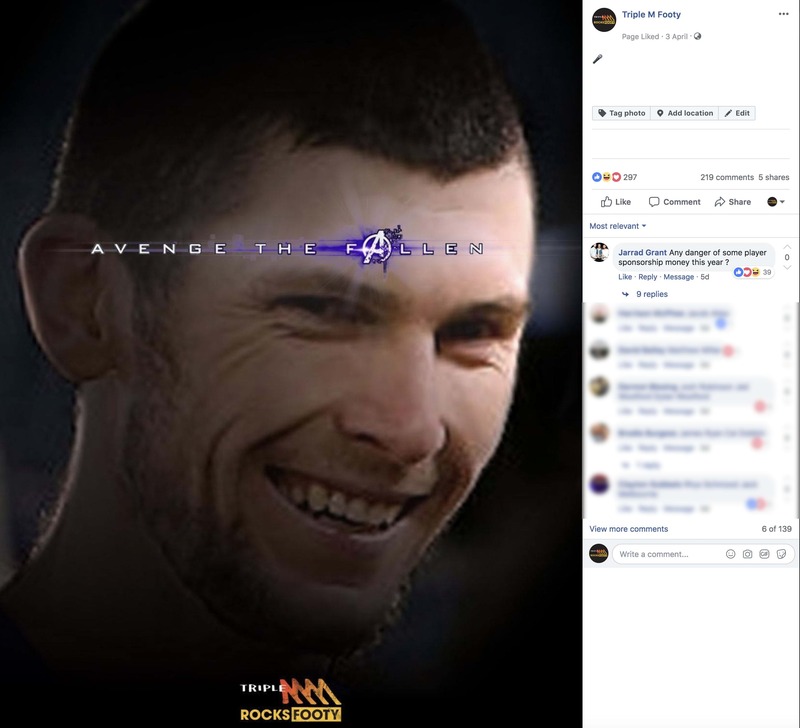 The story came up on the Triple M Footy Fan Podcast today. Spindleshanks left comments on Facebook and Instagram versions of images our resident Meme Artist, Ethan Meldrum, made of him. He also took to his own Instagram story looking to drum up support for us to get around him — and it looks like his followers were resoundingly in his favour. Triple M Footy chief Ewan Giles hasn’t ruled anything out. "Triple M Footy has had many favourites over the years. Jake “The Push Up” King, “The Tip Rat” Stephen Milne, “Possum Eyes” Toovey, Ben “The Meccano Man” Holland amongst them,” he said. “But no player has ever captured the imagination of the Triple M Footy family like Microphone Head. “Whilst Triple M Footy has never sponsored a player at local level - if we were ever going to do it - Spindleshanks would be our first choice.